Too often overlooked after his work was spurned by the New Wave iconoclasts as belonging to the “tradition of quality,” Claude Autant-Lara was one of France’s leading directors of the 1940s and ’50s. He began as a set and costume designer and went on to direct French-language versions of American comedies in Hollywood, but it was back in his home country that Autant-Lara came into his own as a filmmaker. He found his sophisticated and slyly subversive voice with these four romances, produced during the dark days of the German occupation. 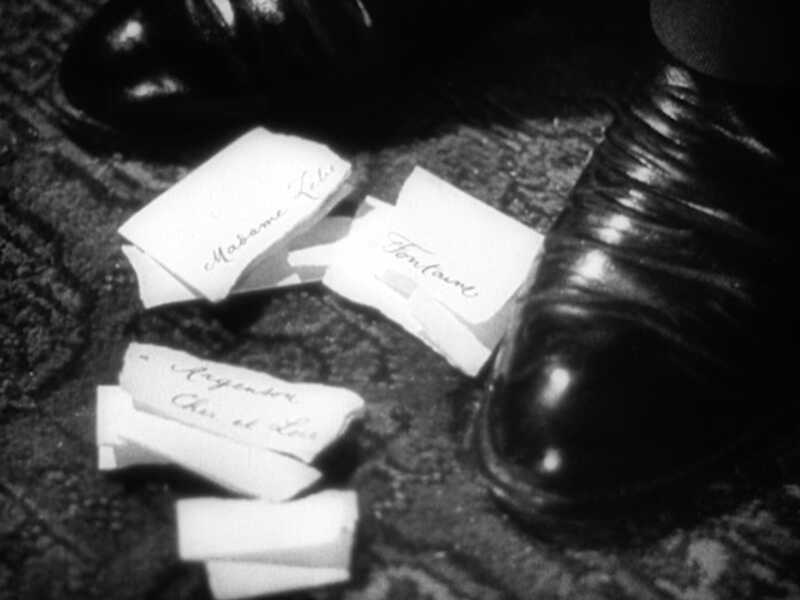 Sumptuously appointed even while being critical of class hierarchy, these films—all made with the same corps of collaborators, including the charmingly impetuous star Odette Joyeux—endure as a testament to the quick wit and exquisite visual sense of the director whose name they established. This delightful comedy brought Claude Autant-Lara his first popular success as a director. 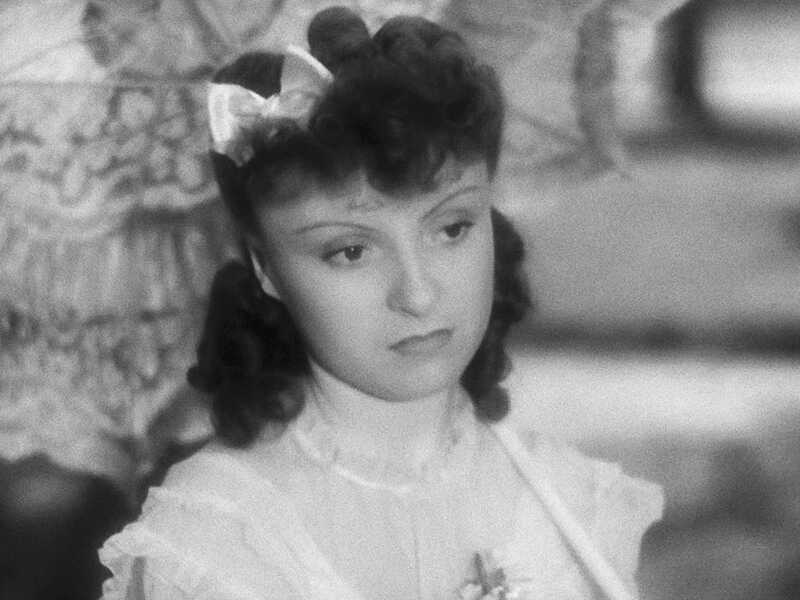 Chiffon (Odette Joyeux) is being pushed by her mother to wed a dashing military officer (André Luguet) but finds herself drawn to her stepfather’s penniless brother (Jacques Dumesnil). 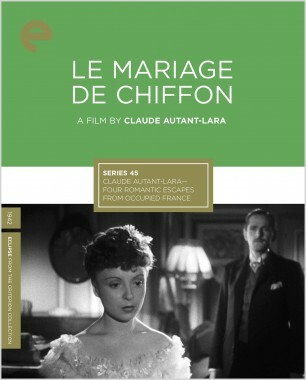 For Le mariage de Chiffon, Autant-Lara convened the creative team—including screenwriter Jean Aurenche, cameraman Philippe Agostini, and the incomparable Joyeux—that would reunite for each of his subsequent three features, initiating a remarkable run of sharp love stories. A deceptive lightness distinguishes this farcical second feature made by Claude Autant-Lara while Germany occupied France. During the reign of Napoléon III, a plucky businesswoman (Odette Joyeux) agrees to receive love letters to a prefect’s wife from a young official, and soon finds herself embroiled in a scandal that inflames a town’s class tensions. A transporting period piece with ornate costumes by Christian Dior, Lettres d’amour paints a blithely pointed portrait of life in a highly stratified society. 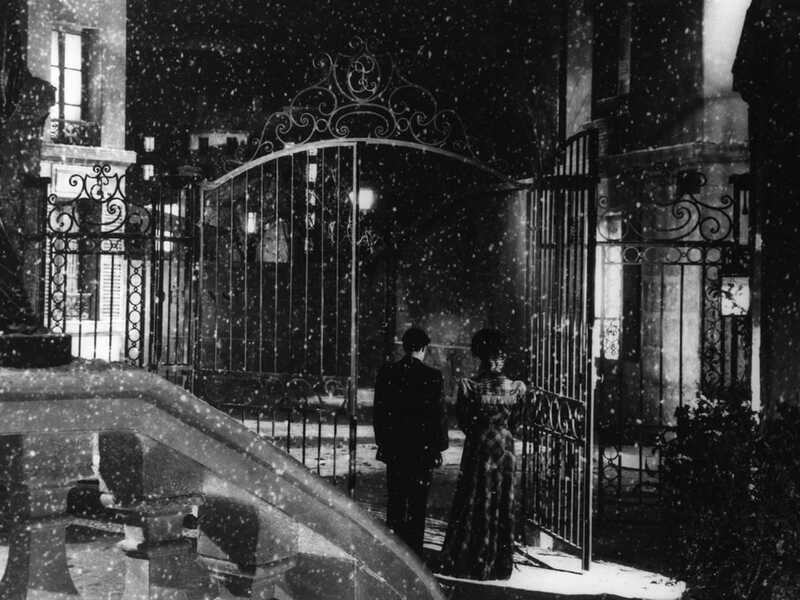 As belle epoque Paris prepares for Christmas, the residence of the Countess de Bonafé hosts more than its share of intrigue: the countess’s headstrong granddaughter, Douce (Odette Joyeux), pines for the estate manager, whose heart has been broken by the governess, who is being courted by Douce’s widower father. 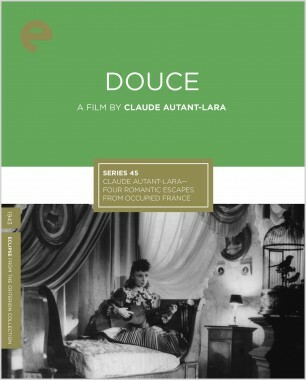 Elegantly shot, Douce is a dizzying romantic roundelay that contains a biting critique of France’s rigid social order. 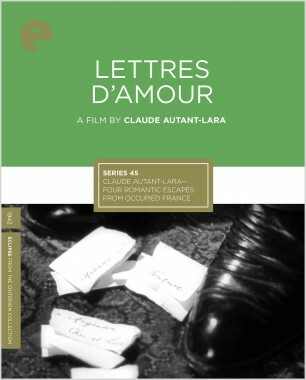 This film, which ultimately takes a tragic turn, found Claude Autant-Lara in full command of his craft. 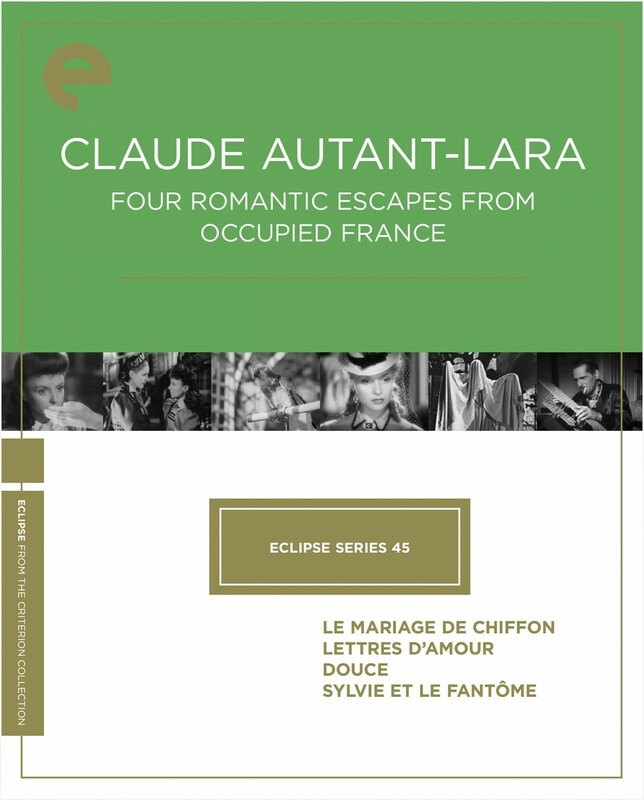 With this film, conceived during the occupation and released after the war, Claude Autant-Lara entered the realm of pure fantasy. 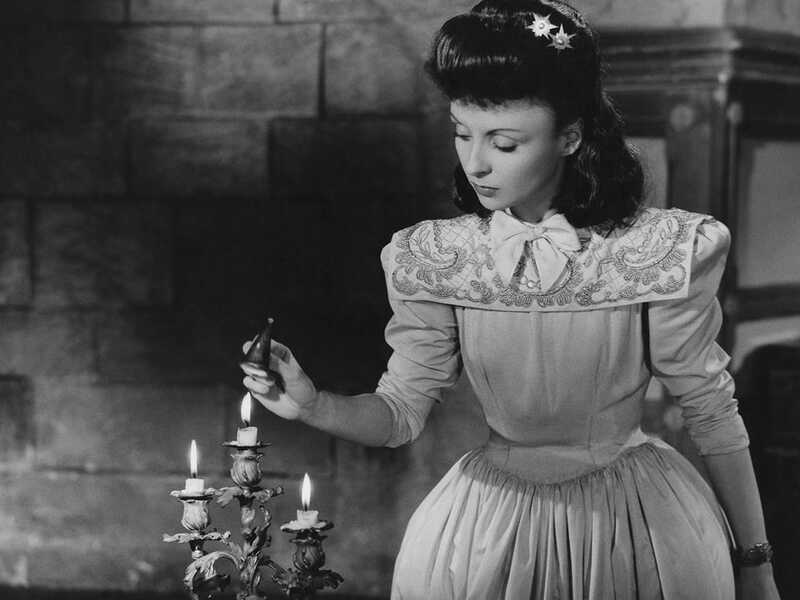 Odette Joyeux stars as Sylvie, in love with a long-dead romantic figure from her family’s past. 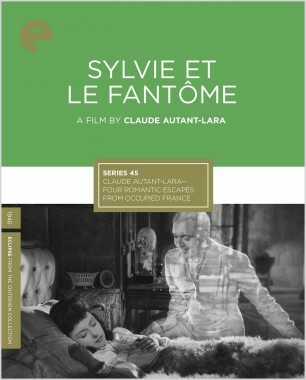 Sylvie’s father hires three actors to impersonate the ghost of her beloved, while the spirit himself (Jacques Tati, in his first feature-film role) stalks the grounds. Marrying a playful script, artful special effects, and wistful performances, Sylvie et le fantôme stages a delicate dance of enchantment.